South Korea plans to launch a new civilian-military exercise in late May, the latest in a series of reorganization moves of its defense drills to support peace efforts with North Korea, a government source said Wednesday. 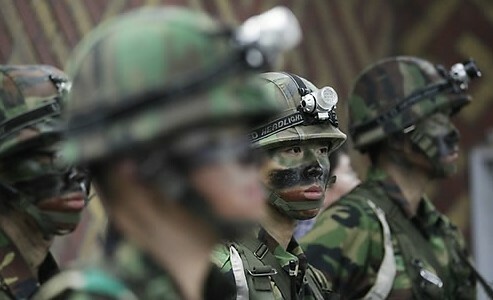 The Ulchi Taegeuk exercise will take place from May 27-30, the source said. 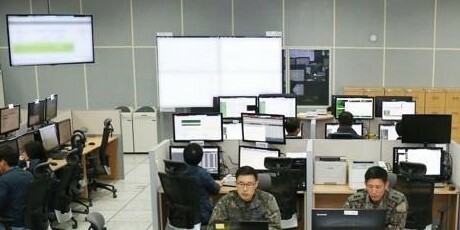 It combines two existing programs -- the Taegeuk command post exercise and the Ulchi government exercise, part of the summertime South Korea-US Ulchi Freedom Guardian exercise. The UFG, usually slated for August, is expected to be abolished. The new exercise will focus on strengthening the South Korean military's independent capabilities to fend off armed attacks and preparing for various contingencies, including terrorist attacks and large-scale natural disasters. Announcing the allies' decision to temporarily suspend the UFG exercise last year, the Seoul government said that it would create a new exercise involving civilians, government officials and armed service members by combining the Taegeuk and Ulchi exercises. Due to the envisioned abolition of the UFG, South Korea and the United States could set up a separate combined command post exercise in August to deliver on their agreement to verify Seoul's initial operational capability required to retake wartime operational control. The allies have been pushing for a "conditions-based" OPCON transfer. Following the IOC certification procedure, they are set to verify South Korea's full operational and mission capabilities, likely in the coming years. The Ulchi exercise was created in the wake of North Korean commandos' failed attempt in 1968 to infiltrate Seoul's presidential office Cheong Wa Dae and assassinate then President Park Chung-hee. It focused on various national crisis scenarios and involved some 480,000 people from around 4,000 government and public organizations across the country. UFG dates back to 1976, when the Ulchi exercise was combined with the US-led UN Command's Focus Lens exercise. It was initially called the Ulchi Focus Lens and renamed the Ulchi Freedom Guardian in 2008. The Taegeuk exercise was launched after South Korea retook peacetime operational control from the US in 1994. It was initially called the Aprok River exercise and got the current name in 2004. Led by the Joint Chiefs of Staff, it focused on enhancing theater-level operation capabilities. To facilitate diplomacy with Pyongyang, Seoul and Washington have decided to abolish their springtime Key Resolve and Foal Eagle exercises. Instead, they launched the new Dong Maeng command post exercise Monday. Dong Maeng means alliance in English.